Ever since that war, the military has provided servicemen and servicewomen with all the tools they need to complete their mission on the battlefield. But all too often, those same veterans find themselves unprepared for the mission of transitioning from active duty back to civilian life. According to the Wounded Warrior Project, there are more than 52,000 servicemen and servicewomen who have been physically injured in the lengthy military conflicts in Afghanistan and Iraq, and 500,000 are living with invisible wounds, including depression and post-traumatic stress disorder. Given the prevalence of these injuries, there is a compelling need for new support systems to serve the veterans who have served their country. Enter Richard Miller, Ph.D., clinical psychologist, author, yogi and founder of the iRest Institute. Miller’s Bay Area–based organization is devoted to helping people in all walks of life replace pain and anxiety with healing and peace. Through a practice called iRest Yoga Nidra, Miller has taught thousands of people how to meditate, address trauma and nurture their ability to lead happier, more productive lives. 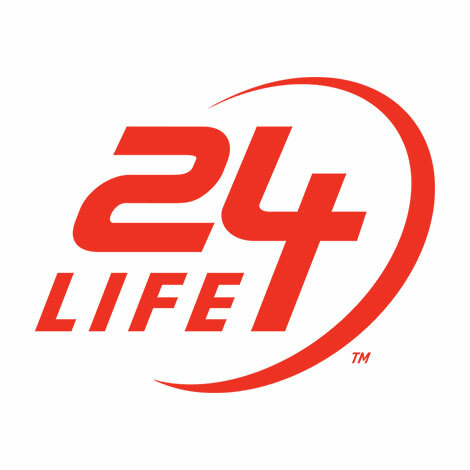 24Life recently spoke to Miller to discuss how he adapted his program to fit the special needs of the military with the goal of empowering veterans to fulfill their mission of recovery. In 2004, Miller received an unexpected call from Walter Reed Army Medical Center asking if his meditation program could be included in a research study for active duty military, the majority of whom had PTSD from the wars in Afghanistan and Iraq. There was just one hitch—he needed to rename the program to de-emphasize its roots in yoga. As one military person stated, “Yoga is for sissies. We’re military—we don’t do yoga.” So Miller re-branded his technique as Integrative Restoration—“integrative” referring to the psychology of self and “restoration” indicating a return to well-being. And since the iPad and iPod were popular products at the time, Integrative Restoration was further shortened to iRest. Miller’s protocol has proved so effective with the military that iRest Yoga Nidra is offered in 85 Veterans Affairs sites across the country, and there are studies being conducted to offer a remote form of the protocol for those who are unwilling or unable to come to a center for in-person treatment. And iRest Yoga Nidra is spreading beyond the U.S., with similar protocols being tailored to military populations in Canada and Australia, as well. IRest Yoga Nidra is a 10-step program that is embedded within a larger 39-stage protocol. Most people who attend classes are just learning the 10 basic steps, but Miller, or the thousands of teachers who are trained in his process, offer advanced courses for those who are interested. The third step focuses on teaching veterans how to find a core feeling of well-being or security that they can access at a moment’s notice. This is especially important for people who have been physically injured or who are dealing with PTSD, in order to restore the sense of safety that has been lost. The remaining seven steps teach people how to embrace their body and its sensations so they can deal with discomfort or disability by using feelings as tools to productively respond to events. The last part of the process involves helping veterans imagine difficult scenarios in daily life and helping them put the steps of iRest Yoga Nidra into practice. Once they apply the process to real-world situations, they can receive supplemental training to strengthen their proficiency. Although veterans often have the most immediate need for treatment, their families and loved ones frequently suffer the collateral damage of war, as well. As a result, there is a divorce rate of up to 70 to 75 percent for military couples where one or both are deployed. Miller often applies the principles of iRest Yoga Nidra to military couples dealing with separation, anxiety, depression and other issues so that they have tools for dealing with the demands of military life while increasing marital satisfaction and reducing the rate of divorce. IRest Yoga Nidra has helped thousands of veterans reclaim their peace of mind, yet Miller sees a larger outcome from his work with the military. And within that anecdote is the ultimate goal of iRest Yoga Nidra—to bring peace and understanding to the world one healthy person at a time.